Believe it or not, I am still working on Power Cubed, my creator owned book for Dark Horse, and things are moving along. I just finished penciling the 1st issue and I have 8 more pages to ink and #1 will be in the can. As of right now, I am on schedule to get the first issue out by June 2015. God willing, I will be able to keep that scheduled release date. I will be getting a guest inker for issues #2 and #3 to help me keep peace. 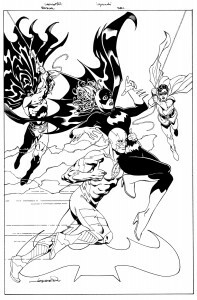 The beauty of that is, it is one of the best inkers in the business and that is not hyperbole. I won’t announce who just yet. 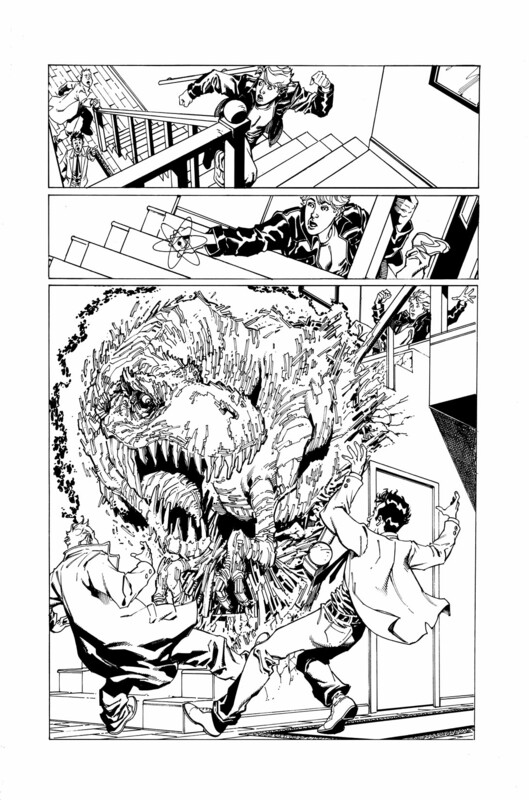 Instead I will give you a sneak peek at another page from issue #1. Any time a staircase gets turned into a T-Rex, you have a book worth buying! More to come soon. 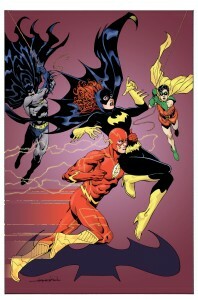 I recently got the opportunity to do the 75th Anniversary of the Flash alternative cover for Batgirl #38. 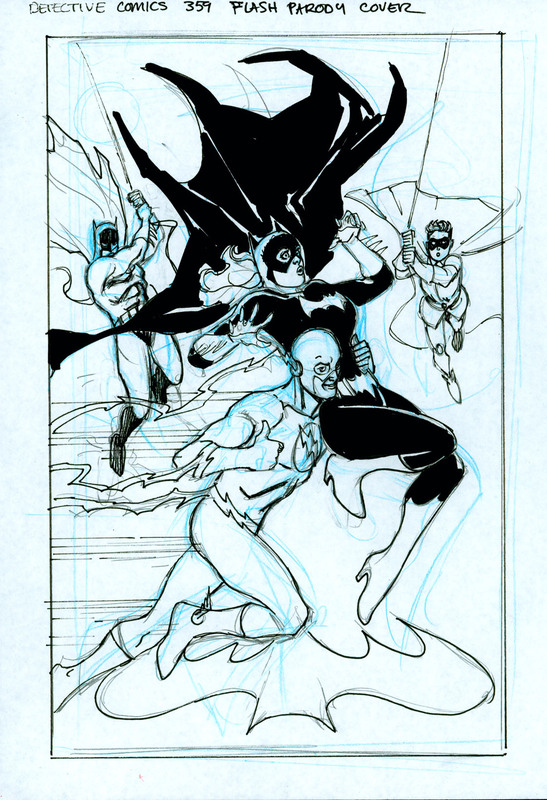 The great Mark Chiarello offered me several options of cover choices and I chose Batgirl. 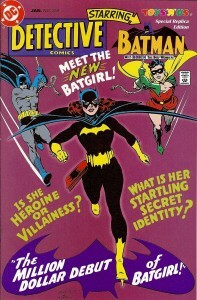 Then came the trick of finding the right classic Batgirl cover to parody with the Flash. 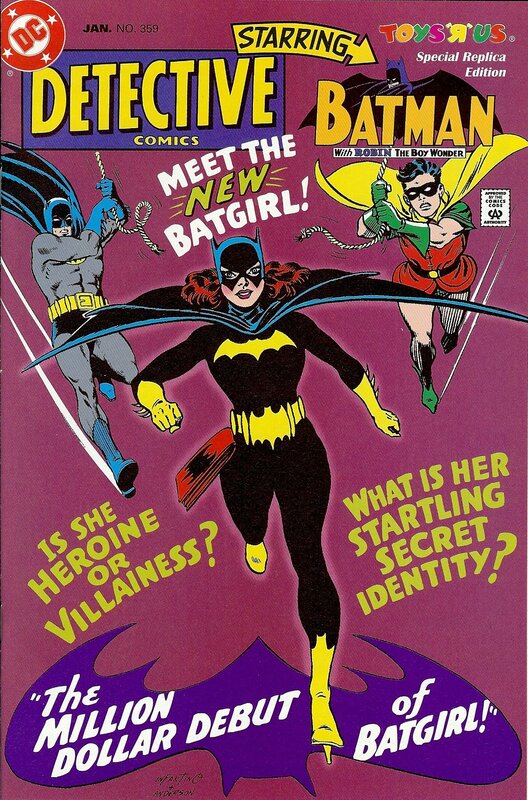 I went for the cover to Detective Comics #359 which is, of course, the first appearance of Batgirl. Could there be a better choice? The process for me remains the same. 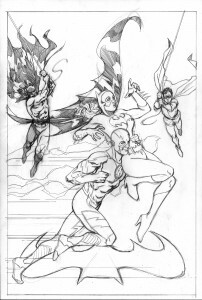 I usually do several cover sketches to give the art director or editor some options to choose from. In this case, I had such a clear vision of what I wanted to do that I did only one. Since I only sent one to Mark, he obviously chose this piece. 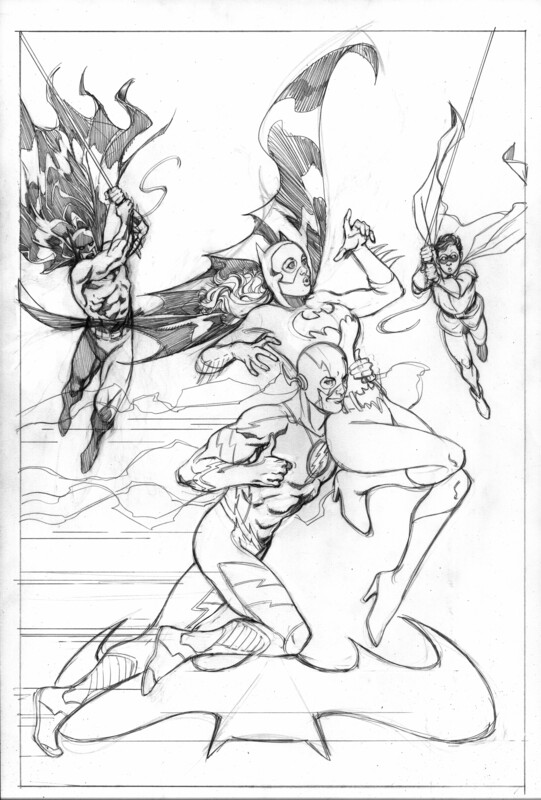 I then I went on to pencil this cover sketch on full sized art board. Once I got the final pencil finished, I got it approved and then went right to inking. I used a combination of brush and micron pens to finish this cover art. As you can see there are some minor changes from the pencil to the inks (for instance, Batman’s cape). I also made some changes after I scanned the image in photoshop but those were minor facial expressions. I took this image and scanned it as a bit map/line art at 1500dpi. 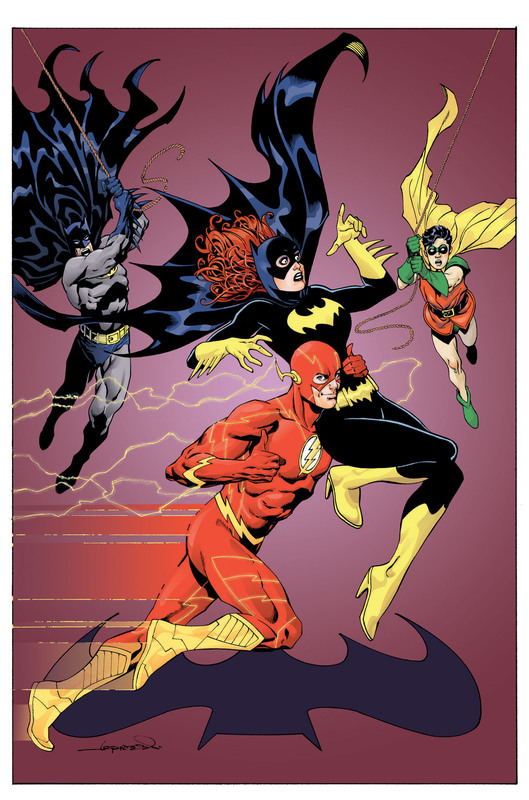 I then colored it in photoshop, trying my best to re-create the color scheme from the original Detective Comics #359 issue. And that’s the finished product, sans any cover type or logos. This is the file I sent to DC and the rest is in their capable hands. This cover should come out in January 2015.